Thermal comfort in all simplicity, within earshot! Voice control is a revolution in every field because it simplifies user’s lives every day. Today, NEOMITIS® is also making it accessible in the heating sector. 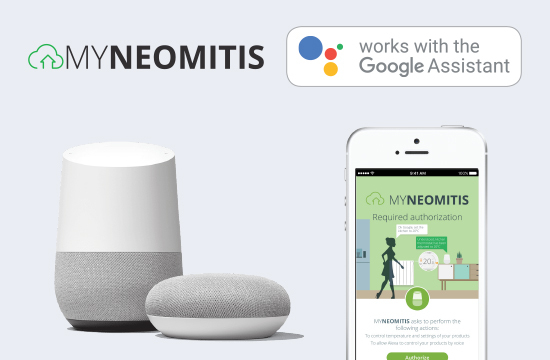 Indeed, all NEOMITIS® devices, once connected, can now be controlled simply by voice. ... There are so many common operations that you can now do on your heating device, without hands. The device obeys the voice and reacts remotely in the seconds that follow with the voice assistant. Smart heating, within everyone’s reach! 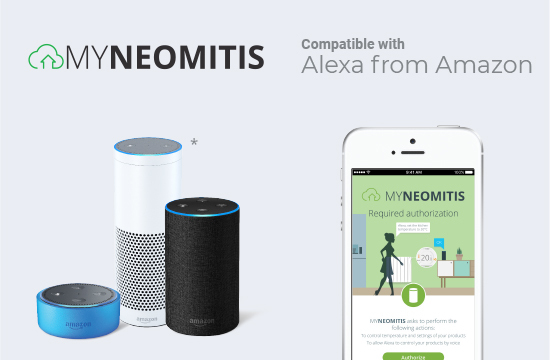 Always striving to offer you the best services, NEOMITIS is compatible with the 2 world leaders of voice recognition, the voice assistant of GOOGLE and ALEXA of AMAZON. Very handy, the Google Assistant mobile app for Android and iOS incorporates a free, fast and easy-to-use voice recognition feature on your smartphone! 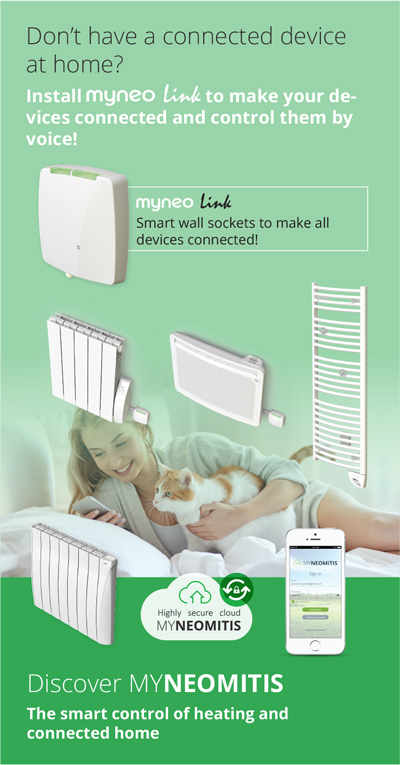 Control by voice all your heating devices with MYNEOMITIS! 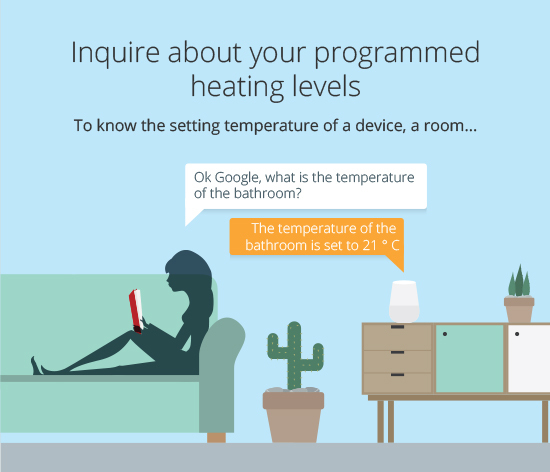 To control your heating devices by voice, they must be connected to internet. 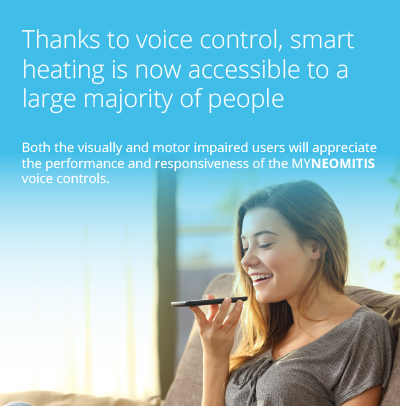 Thanks to our mobile application MYNEOMITIS is compatible with the voice assistants of Google and Amazon; you can enjoy the control of heating your entire heating system by using your voice! Alexa is the technology developed by Amazon for devices controlled by voice. It is capable of voice interactions to answer questions, research, and control different devices and connected objects. Alexa is available through the smart speakers in the Echo range offered by Amazon. 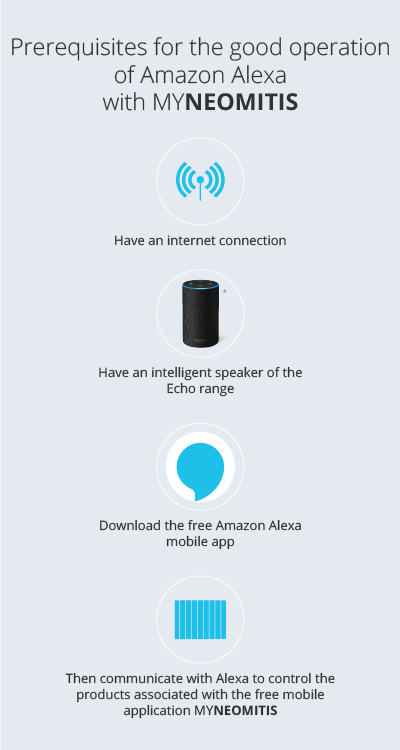 A dedicated app has been launched, Amazon Alexa, available for free on Google Play and Apple Store, download platforms for smartphones and tablets. Then speak directly to Alexa who will transmit the order to your installation. * Pictures are owned by Amazon.com, Inc. or its affiliates. The Google Assistant is a free personal assistant that allows you to use the voice command to ask questions, to search, but also to control different devices and connected objects. Talk to the Google Assistant who will then forward the order to your installation. 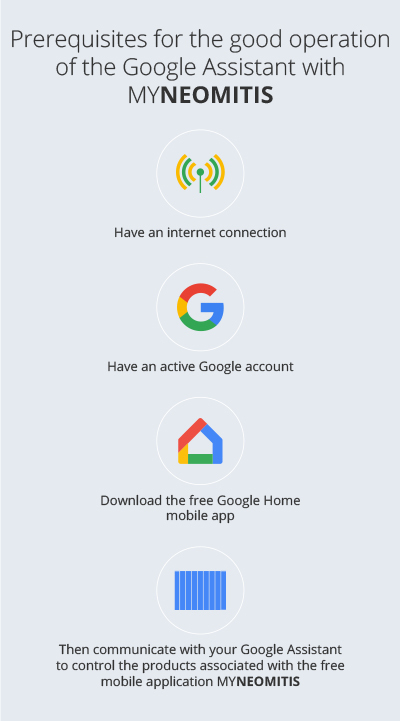 The Google Assistant is available for free through its mobile app for smartphones and tablets (Android and iOS) and on the following devices: Google Home, Google Home mini.